Physiotherapy is a multi-discipline profession where various treatment methods are used to help restore movement and normal bodily functions following a Trauma, injury or illness. It is used for pain relief, healing and rehabilitation of most medical and surgical conditions and is appropriate for a range of muscle, joint and nerve conditions. Whether your problem is a sprain, frozen shoulder, tennis elbow, back pain, women’s health, a stroke, chest problems, injury at work or many other different conditions, there will be a physiotherapist to help you get better. Physiotherapists use a range of techniques which consist of joint manipulation and mobilisation, myofascial release, soft tissue release, sports massage, sports taping, acupuncture and trigger point dry needling. Physiotherapists will also advise you on changes to lifestyle and ways you can reduce further muscle and joint problems with various methods such as exercise programs or referring you to other health professionals to complement the treatment if they consider it appropriate. If you’re not sure then please do give us a call, this will allow us to determine whether or not you would benefit from seeing us. If it is decided that physiotherapy would work for you, we can arrange an appointment for you straight away. If however physiotherapy is not deemed necessary for you we will aim to give you as much advice as possible to help point you in the right direction so your problem can be investigated and resolved as soon as possible. I’ve already seen a physio through the NHS & they didn’t help me, isn’t all physio the same? Unfortunately not! As we can all appreciate, there are many constraints within the NHS which mean some physios within the NHS are pressured with short appointment times and high volumes of patients and expectations to discharge patients quicker to allow new cases in which may lead to just offering advice and printed exercise programs with limited treatment sessions. This doesn’t mean the physiotherapist is less able but there are lots of constraints which can be avoided in private practice. The physio you receive from our team of highly trained individuals is very different. We use and offer a wide range of skills and techniques, you will receive a ‘hands on experience’ aiming to help your body recover faster and more effectively. We use a range of treatments including manipulation, acupuncture, soft tissue and myofascial release, trigger point dry needling, sports massage and other techniques therefore you will receive a considerable amount of treatment every time until you are fully recovered and back to your daily activities. What happens in the initial and follow up treatment sessions and how long do they last? The 1st treatment sessions are usually 30 minutes but can be a 1 hour depending on what you and your therapist decide at the initial booking stage. You will receive a thorough initial assessment and physical examination to establish the cause, nature and severity of your condition, identify the source of your symptoms and uncover any underlying causes. It our priority to ensure you have a full understanding of your problem and discuss what treatment we consider to be best and in conjunction with your wishes and needs, create a personalised treatment plan with you. It is in our interest to focus particularly on helping you achieve your specific individual goals. Treatment would usually begin in the initial assessment. Follow-up consultations/ treatment sessions are usually 30 minutes unless you or your physio deems it necessary for longer sessions; this all depends on the individual. During these sessions, your case will be constantly reviewed and various treatment methods may be conducted based on a session by session basis. Wear what you feel comfortable in such as a loose top, tracksuit bottoms or shorts and shoes you feel comfortable in. We do however recommend if we are treating below the waist, shorts are advisable and if we need to treat above your waist, a loose top which allows access to areas such as your back, neck or shoulder. We do need to visually assess you in terms of movement and posture and access different areas of your body; items of clothing can be removed once in the treatment room so don’t panic! If you’re unsure, please just give us a call before your appointment. We will always aim to make your treatment as comfortable as possible, however, under certain circumstances, more intense pressure and treatment techniques may be required. You will be forewarned and at any time can opt to cease treatment if it is too painful. If you have any queries regarding treatment techniques, please give us a call. Wear some comfortable clothing such as a loose top, tracksuit or shorts and trainers that you feel able to move around in easily. Physiotherapists need to visually assess you in terms of movement and posture, as well as move different areas of your body, so these need to be accessible and visible. Do you accept private health/ medical insurance? Yes. We deal with all major private health insurance companies including AXA PPP, BUPA, Nuffield Health, Pru Health, Exeter Friendly, Aviva, Alianz and many more. Anyone with Healthcare insurance can be seen at our clinic. Please ensure you check with your insurance company before booking at our clinic. You may require a GP’s referral but all insurance companies have their own policies. If you have any queries regarding physiotherapy and your health insurance, please contact us directly. If you will be self-referring and therefore paying for your own treatment, you do not need to see your GP prior to treatment. If I do not have private medical insurance, can I still come? Yes. We have a mix of both self-financing and insured patients, for a list of our payment options click here. You may wish to stop your treatment at any time for a number of reasons however; we do recommend that you complete the treatment plan set for you as the treatment methods may require to be repeated to have a long term impact. If you do feel that treatment is not benefiting you and achieving the results you anticipate, please discuss this with your physiotherapist as they will be able to offer you and advise an alternative treatment to help achieve your goals and/or refer you to a more suitable professional. What happens if physiotherapy treatment doesn’t help me? If your condition is not improving after a certain number of sessions deemed acceptable by your therapist, we will refer you to your G.P. for further investigations such as an X-Ray, MRI, blood tests etc. We work very closely with some of the best consultants, GP’s and surgeons in the area so we can always help to put you in front of the correct professional and help with your condition. 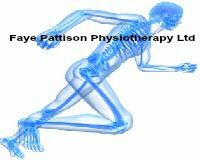 Faye Pattison Physiotherapy based in Chelmsford Essex is committed to giving its clients the best physiotherapy and healthcare in a professional manner.